Last month, Dr. LoRang traveled to St. Louis to attend a 3 day conference on Dynamic Neuromuscular Stabilization (DNS), specifically geared toward the golfer. This course is one of many DNS courses that Dr. LoRang has completed. DNS forms the clinical base on which Capital Chiropractic is built and is the reason that Dr. LoRang’s treatments are so unique. At the conference last month, Zuzana Suzan and Pavel Kolar were the main presenters, having traveled from the Czech Republic to teach the course. 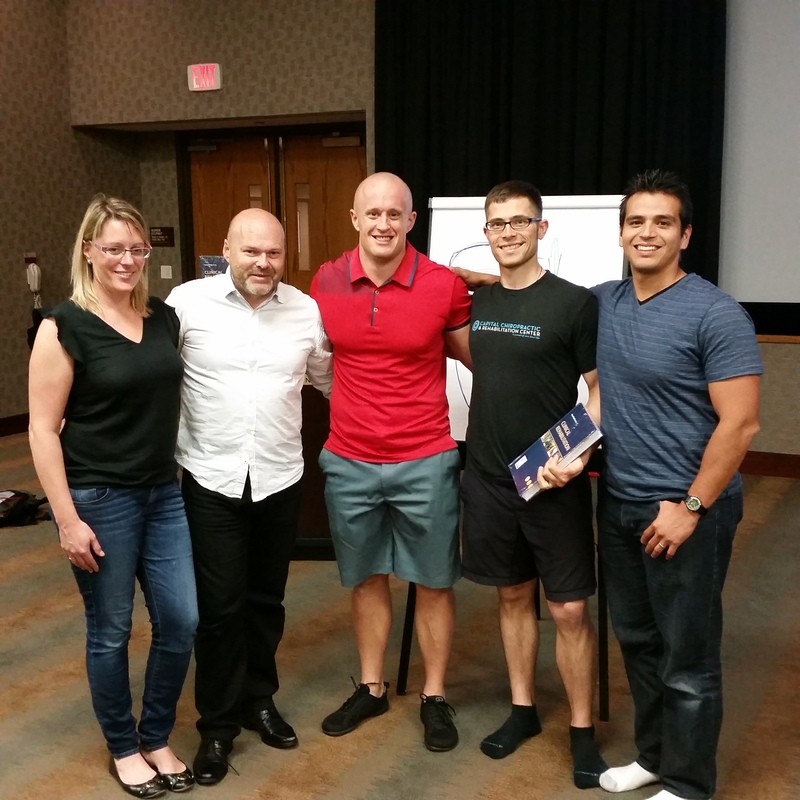 Along with these instructors from Prague, US clinicians Brett Winchester and Michael Rintala, and golf biomechanics expert from the University of Virginia, Max Prokopy, also presented at the course. The conference focused on just what makes a golfer great, and also what is hurting their game and performance. Lack of core stability – Usually when people analyze a golf swing they may look for control of the club, a certain amount of rotation, etc. However, this isn’t the whole picture – we must also analyze the function of the human form. We must also analyze the athlete’s core stability. Therein lies the key to athletic performance that most other analyses overlook. Handicapping injuries – Musculoskeletal dysfunction and injury often results from non optimal swing stereotypes and poor methodology of training. Lack of treatment options – Manual treatment, mobility, strengthening, and coordination exercises help prepare the golfer for play and educate the golfer on injury prevention. One of the most incredible things about utilizing DNS as an assessment and treatment is that it is applicable to every kind of athlete. Whether you are a golfer, swimmer, CrossFitter or triathlete, the roots of athletic movement are the same – stability before mobility. Interested in booking in for an appointment to see how your golf game might improve? Please reach out to us here.